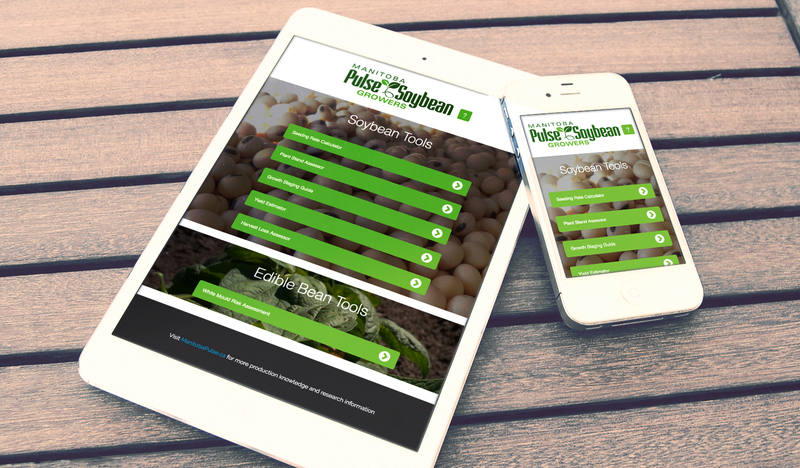 Growers use the soybean plant stand calculator to assess their plant population and receive feedback based on scientific research conducted in Manitoba. The research referenced in the plant stand tool is derived from the results of work conducted by Dr. Ramona Mohr et al. from Agriculture and Agri-Food across 13 site-years in Manitoba from 2011-2013. The soybean yield estimator helps growers estimate their soybean yield. Estimating soybean yield helps aid in judging storage capacity and budgeting. 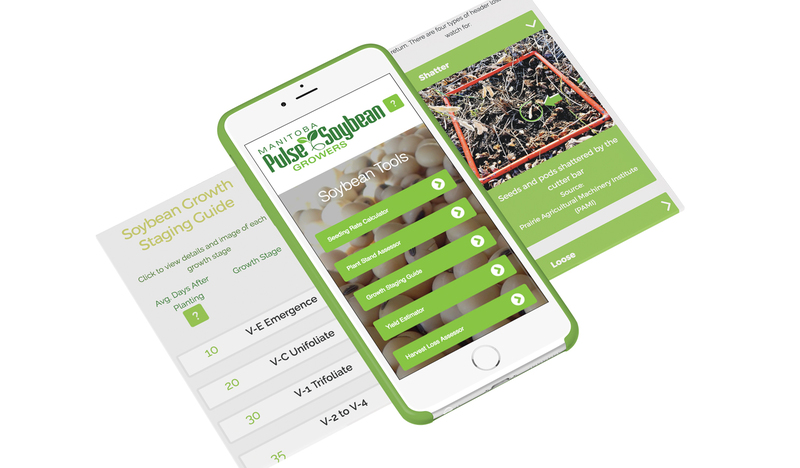 The seeding rate calculator determines the economically optimum seeding rate by first identifying the economically optimum target plant stand. The optimum target plant stand fluctuates depending on soybean price and seed cost. Then, growers can determine their seeding rate based on expected seed survival which is farm specific depending on equipment, field conditions, and seed quality. The app started out as a mobile friendly web-app, and was later converted to a native app for iPhone and iPad. Through distribution as a self-contained native iOS app, it is fully functional in rural areas with limited or no internet connectivity.